Need a sketchbook that is really durable and nice to use? 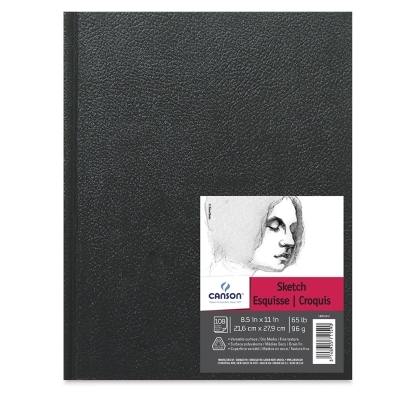 The Canson Basic Sketchbook features a black, leather-textured hardcover and 108 pages to sketch on. Pages are acid-free 65 lb (96 gsm) white paper.